Are you looking for something to make your party, drinks gathering, wedding, dinner, business event or theme party really special? 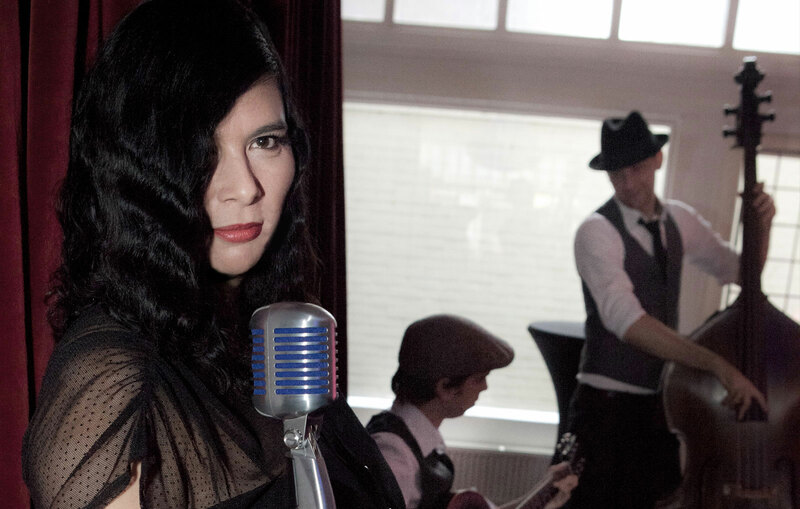 WhoSHEdo performs both upbeat 1930s swing and sultry jazz ballads in the style of Billie Holiday, Nina Simone, Catharine Russel and Caro Emerald. Today’s hits, such as Amy Winehouse’s ‘Back to Black’ or Rihanna’s ‘Don’t Stop the Music’ also get the 30s treatment. A WhoSHEdo show is a total vintage experience. The band can be slimmed down to play easy background music, or its full complement can rock you with dance and party numbers – it all depends on the occasion and what you want. New! WhoSHEdo Night Club: a whole evening of 1930s entertainment, with electrifying swing dance shows and/or risqué Burlesque acts.